Update: Hmm, I’m starting to wonder about this Cafe-de-la-Poste-turns-healthy thing, especially given the latest poster (see at bottom). This ain’t going be your drunk gege’s Cafe de la Poste. If you, like me, associate this Beixinqiao restaurant and bar veteran with quaffable wine, tasty treats like croque monsieurs, and the occasional 3 AM beer or ‘spark plug‘—an eye-opening shot with vodka, kahlua and espresso—you best visit soon because times are a-changing. 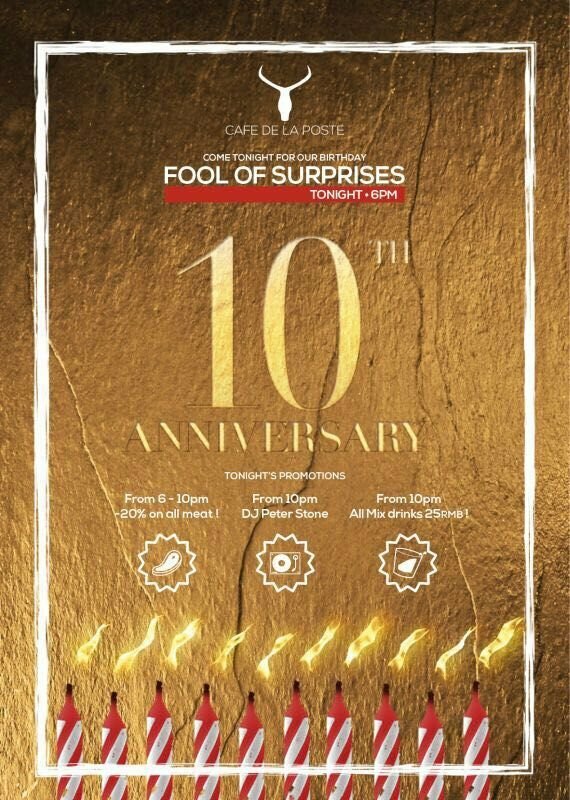 Cafe de la Poste is marking ten years of business with a ‘closing party‘ this Friday and will then begin its next decade in business on Saturday with a serious makeover. 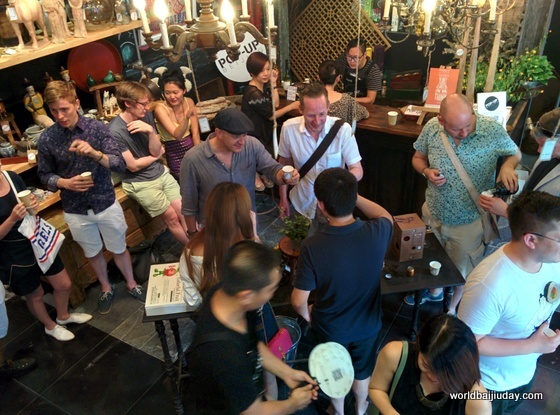 According to manager Justin Barthelemy, an ever-more health-conscious clientele, and the lack of a Beixinqiao restaurant to serve them, means that the jiu will go, including all wine, beer and spirits, and be replaced with fresh juices. And that the French comfort food menu will shed its meat options and go pretty much vegan. In some ways, it’s not surprising given that Cafe de la Poste created an in-house organic grocery corner last December, as I reported here, and that I heard, during this Bell Banger tasting a few weeks ago, some chatter about adding healthy dishes. It also makes sense given that one of Cafe de la Poste’s owners has, ahem, stakes in O’Steak and O’Pasta, which offer lots of meat and wine options. 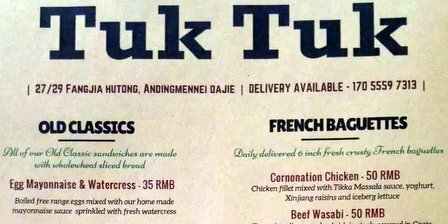 What are the odds that we now see an O’Steak open nearby in Beixinqiao? Anyway, since introducing that organic grocery corner, the kitchen staff have been working on a new menu and it appears this tenth birthday provides the perfect time to switch. 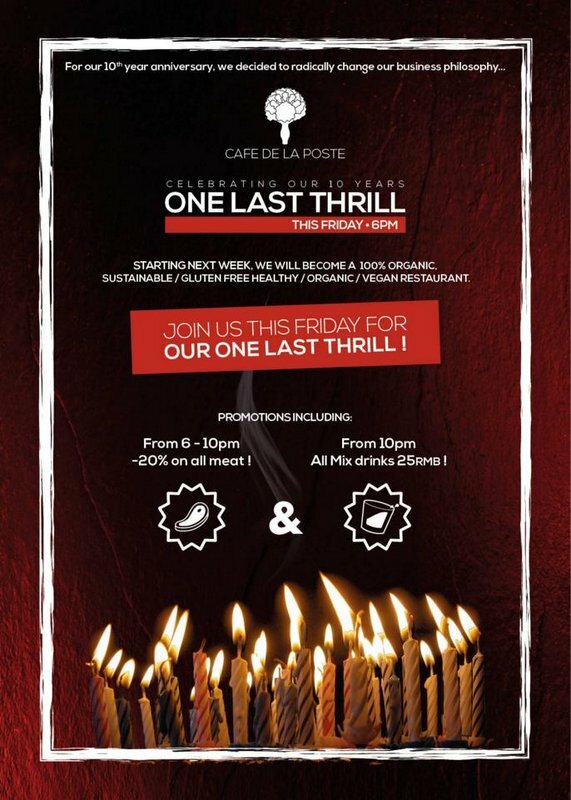 There will a ‘closing party‘ this Friday–see the poster above–with discounts on food and meat until everything is gone.